Gotta love George Clooney and gotta love him even more when he is covered in polka dots. Some great covers have been publishes specially towards the end of the year and this one is by far my favourite. George Clonney is dressed in a custom Giorgio Armani suit made in collaboration with artist Yayoi Kusama. Apr 30 Introducing Sasheh Aagha!!!! 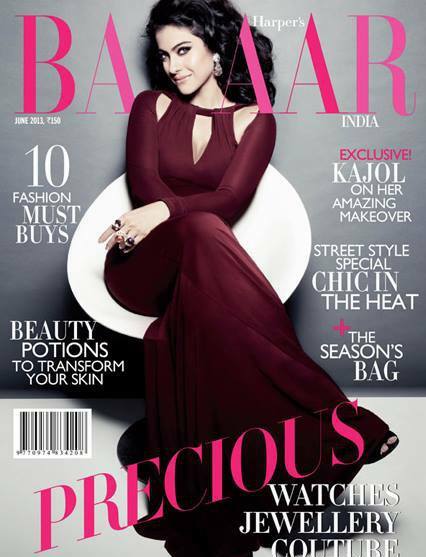 Dressed in an aqua blue eyelet lace dress by Alice & Olivia, Sasheh Aagha makes her fashion debut on the cover of Harper's Bazaar India. I love the choice of the dress with the round neckline, short sleeves with scalloped edges and cutout back. Makes for a striking cover. Super Like! 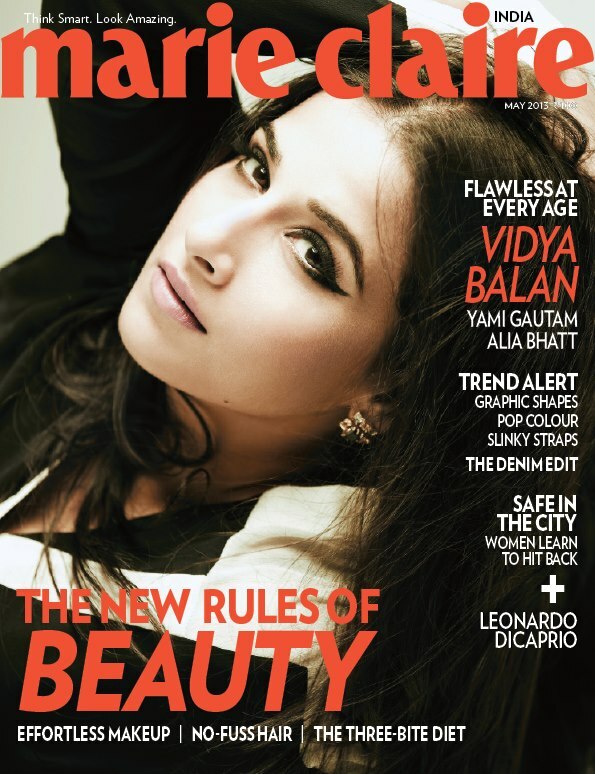 Dressed in a shirt by Huemn and earrings by Ganjam, Vidya Balan graces the cover of Marie Claire but what really caught my attention is winged eye liner. Make-up artist Namrata Soni has given Vidya Balan a simple yet dramatic look with the eye-liner, that really accentuates her eyes.